A member of 98°, one of the most successful pop groups in history, and a recent champion of Dancing with the Stars, celebrity speaker Drew Lachey knows the ins-and-outs of life in the public eye. From the media microscope of Newlyweds: Nick and Jessica to appearing on Broadway in critically acclaimed productions of RENT and SPAMALOT, Lachey has done it all, seen it all, and knows what it takes to make it big. Drew Lachey has been singing and dancing since he was a child in Cincinnati, and he has carried his passion for the arts throughout his life and career. Music education was an integral part of his development, and he emphasizes the continued importance of arts education in school, without which he never could have achieved his dreams. Sharing stories of overcoming obstacles, his path to success, and how his family support system has helped guide him through the good and bad times, Drew Lachey inspires audiences to never give up and to always follow through on their goals, whatever they may be. He’s set to defend his title on Dancing With The Stars: All-Stars, which premieres in September. Do you want to hire Drew Lachey? Directly request a quote. In 48 hours we can send you the availability of Drew Lachey If you would like to book Drew Lachey, Entertainment Booking Agency is the right place. 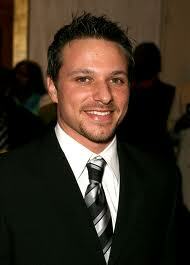 We will offer you the best price and contact the management or we directly contact Drew Lachey. For corporate appearances or speaking engagements you can contact our agents and the will help you true the process. Tags: hire Drew Lachey, Drew Lachey booking, book Drew Lachey, Drew Lachey appearances, find more information on booking Drew Lachey for appearances, Drew Lachey speaking engagements, Drew Lachey endorsements/spokesperson, Drew Lachey appearance fees, Drew Lachey booking agency contact info, biography of Drew Lachey, Contact an artist booking talent agent find a speakers bureau that can book Drew Lachey, speaker booking agency for Drew Lachey, Drew Lachey booking agency, Drew Lachey booking for corporate event. EBA is one of the biggest entertainment booking agencies in the World. We book hundreds of celebrities, artist, athletes and speakers in a year. Important to know is that we are not claiming to be the management of Drew Lachey. We are not the official agent for Drew Lachey. Companies from around the globe book these artists and speakers true our company be course we have one of the biggest networks and we always have direct contact with the artist or the management. We help you to find the right celebrities for your corporate of private events. Please contact one of our agents to get free advice and we will help to get the world-famous artist on your party.